November 3, 2018 7:51 pm. 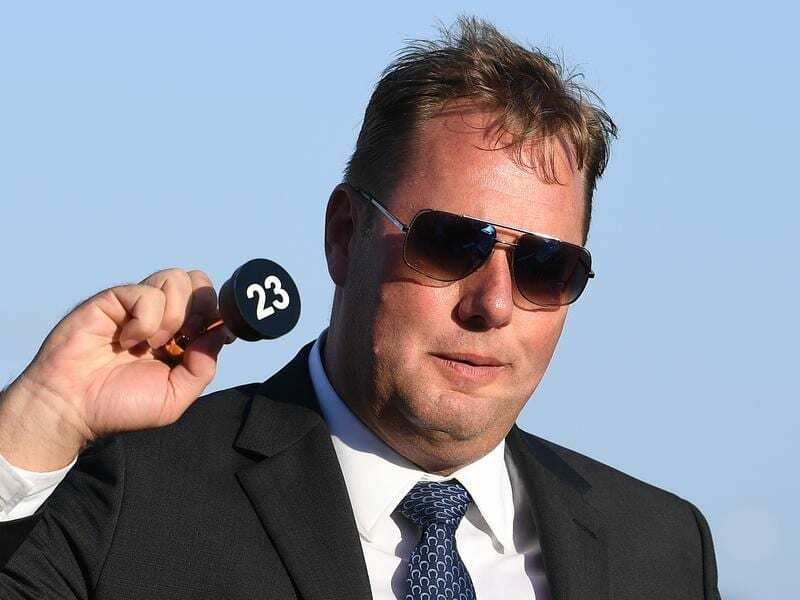 Favourite Yucatan, part-owned by Nick Williams, will start from barrier 23 in the Melbourne Cup. Favourite Yucatan has eased slightly in Melbourne Cup markets after drawing barrier 23 in the 24-horse field. The Aidan O’Brien-trained Yucatan, who is owned by the Williams family, is now at $4.50 after being as short as $4.20. Nick Williams, son of six-time winning owner Lloyd Williams, selected the barrier but said he was unconcerned. Magic Circle is the second pick and the only other runner under double figures at $9 and will jump from barrier 17, but his flamboyant owner Dr Marwan Koukash remains upbeat. “We are not the quickest away anyway and I would have been worried with a low draw because we would have been shuffled right to the back,” he said. The two are among 11 internationally trained horses in Tuesday’s Cup with O’Brien’s other two runners, The Cliffsofmoher and Rostropovich to jump from nine and 21 respectively. Avilius, who represents trainer James Cummings, will jump from gate 11 after qualifying for the Cup via The Bart Cummngs, named for the 12-time Melbourne Cup winning grandfather of James. Auvray, a $61 chance trained by Richard Freedman, has barrier one, something his trainer says could be to his advantage. “He’ll probably think he’s on the outside because he hasn’t been in this direction for some time,” Freedman said. Sydney Cup runner-up Zacada is at the other end of the barrier spectrum, with his part-owner Sir Patrick Hogan, selecting 24. The retired proprietor of Cambridge Stud was ruing the draw. “I’ve had seven winners as a breeder but none as an owner,” he said. Ventura Storm represents Lindsay Park with senior trainer David Hayes happy with barrier seven and confident he can run better than his $26 suggests. “I’m really happy with him and he’s got a great gate,” Hayes said.